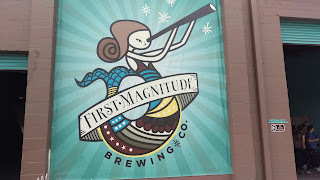 First Magnitude Brewing Company -- The weekend itinerary started with a return visit to First Magnitude Brewing Company, situated closeby to the University of Florida (UF) campus. 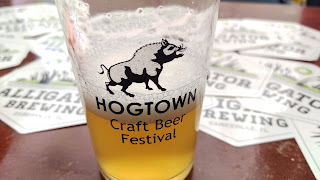 I've been here a few times: my first visit coincided with last year's Hogtown beer fest; and, I returned a few months later for the brewery's first anniversary party last summer. Yeah, I like these guys! 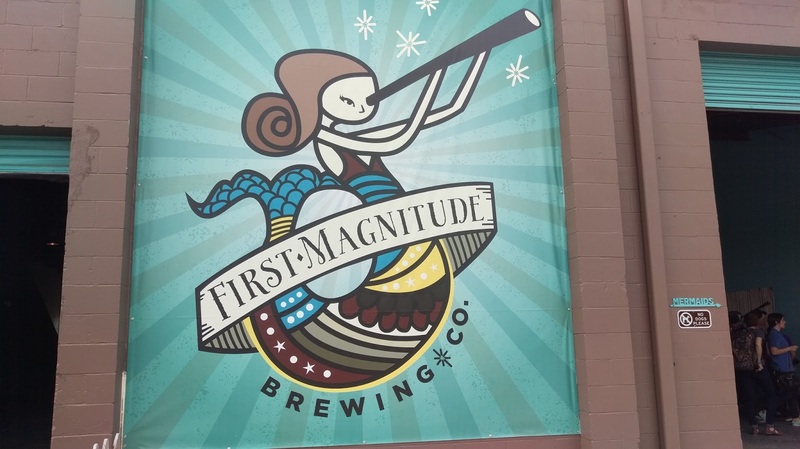 In a short time, First Magnitude has definitely "sprung" onto the Florida craft beer map (there's a meaning there; you'll have to read the earlier articles). 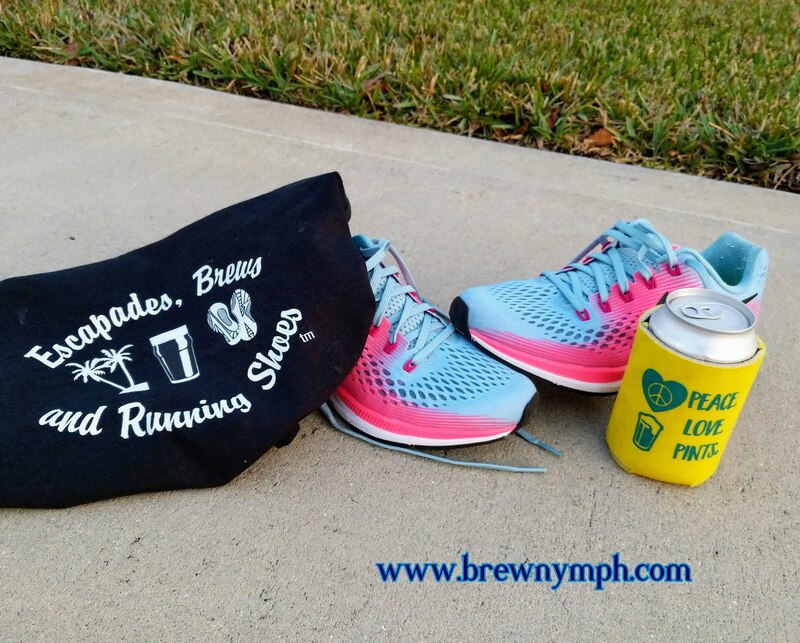 The brewery offers a very laid back and fairly sizable indoor tap room, along with an outdoor beer garden, featuring umbrellas and a music stage, in addition to more seating inside the warehouse part of the brewery. The core beers -- Siren Blonde Ale, Ursa IPA, 72 Pale Ale, and Drift English Mild Ale -- are already distributed around and beyond Gainesville in draft and/or cans. 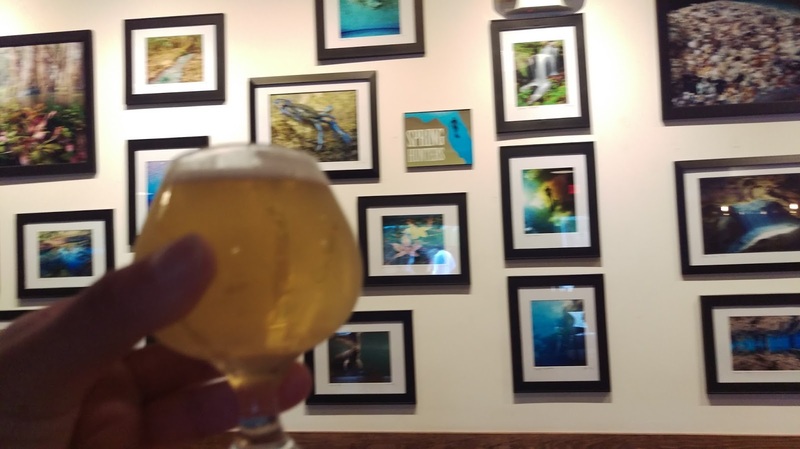 The Siren is one of my go-to beers due to its easy drinkability, but you really can't go wrong with any of those! And, of course, First Magnitude brewed the 450 Amber Ale especially for St. Augustine's 450th Anniversary last fall. 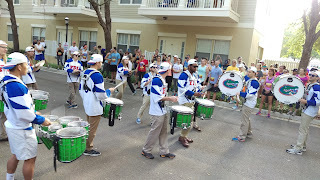 It was a cool thing to do, and it was a hit in St. Augustine -- I won't lie: I had a few (?) of those! 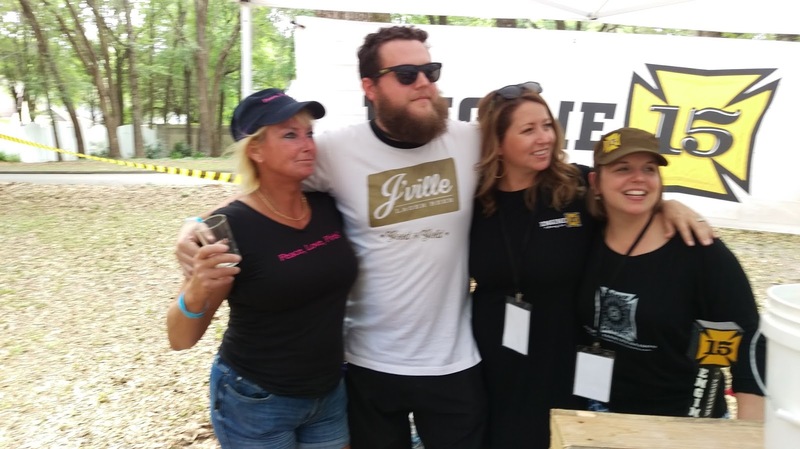 breweries who made the trip to Gainesville for the Fest. 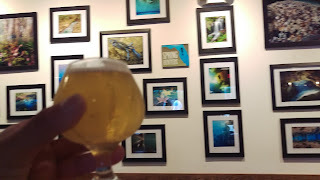 By the way, I didn't make it to Alligator Brewing this trip, but I've been there before. 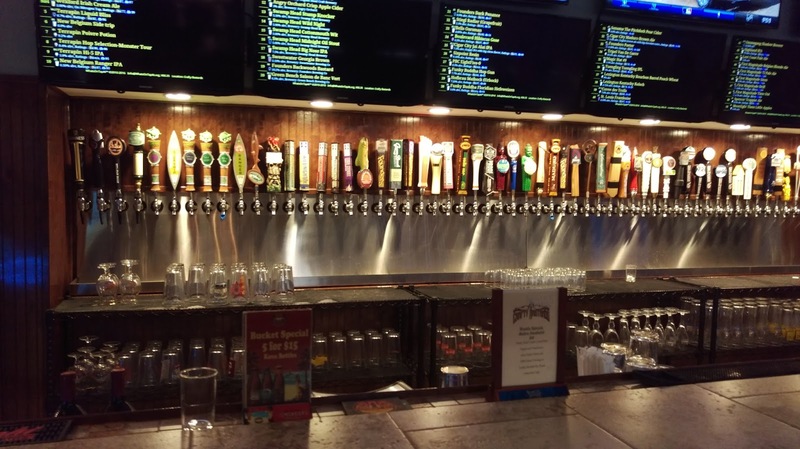 If you're looking for a fun and lively downtown bar experience, check out Tall Paul's/Alligator Brewing. 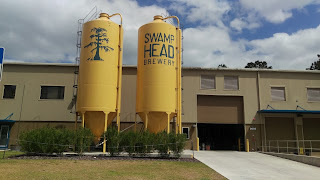 Swamp Head Brewery -- After that, I headed to Swamp Head Brewery. By now, you already know that Swamp Head built a brand new brewery a couple of years ago, and the result is nothing short of breathtaking. I've been here before, but every time, it's just as impressive. 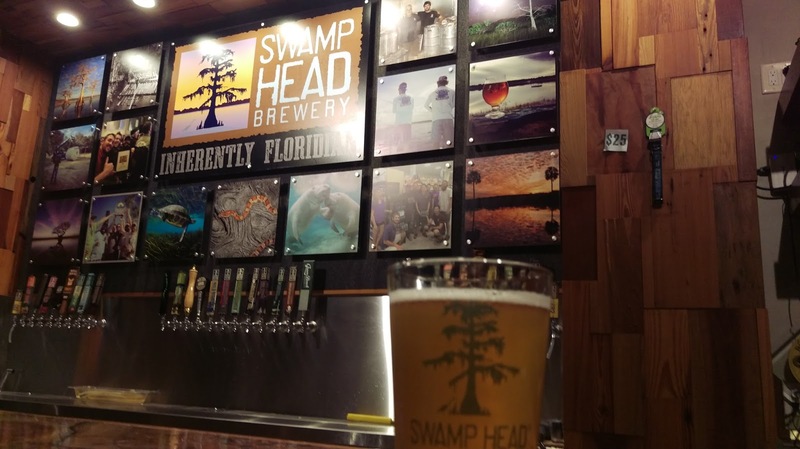 The indoor tap room, "The Wetlands," features a wood-themed ambience, not to mention ten taps of that awesome Swamp Head beer, along with guest taps and a cooler full of bottles. If you feel like hanging around outside, there's an outdoor patio that overlooks a pond and woods. If you're lucky, you might even see a resident gator (the actual four-legged reptile kind) maneuvering around there. Swamp Head is very much into conservation and nature, and the brewery regularly sponsors events to benefit nature-oriented groups. 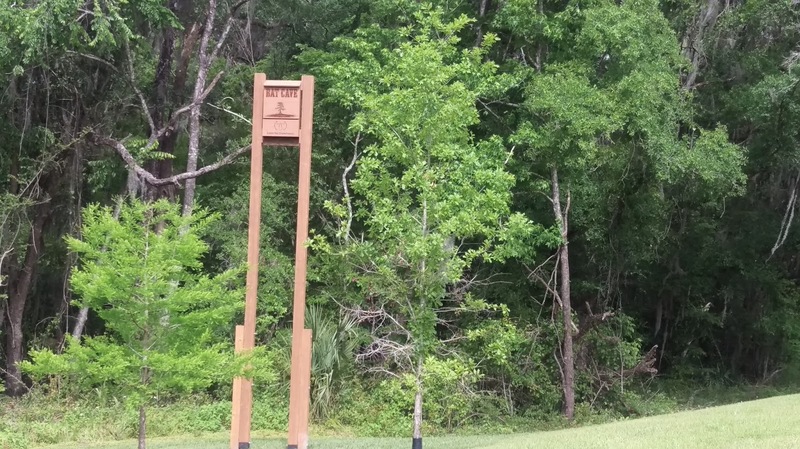 It recently constructed a bat house by the pond with the anticipation of attracting 300+ bats. 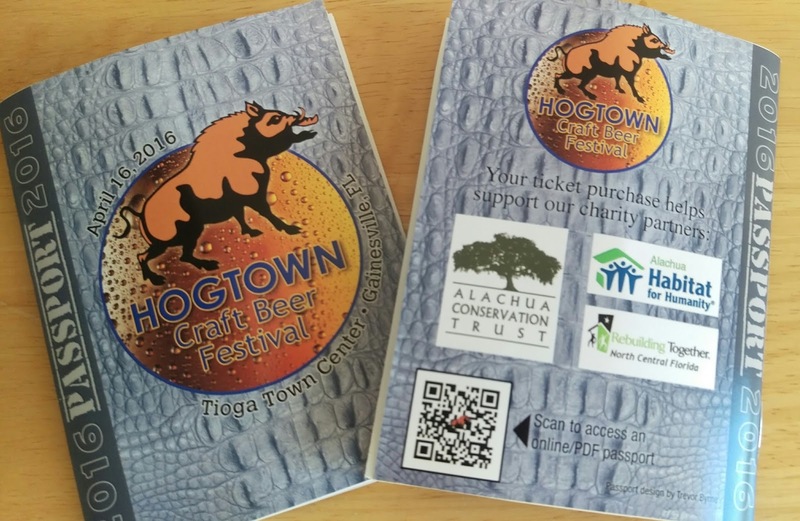 And, if you're around the area tomorrow, Saturday, April 23, check out TREE FEST 2016, which coincides with the Earth Day Weekend, and where every beer you drink will help to plant five trees in support of the Alachua Conservation Trust. 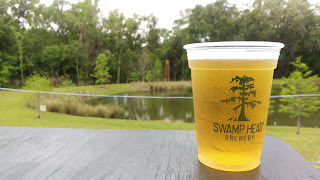 Speaking of the beer, I have quite a few Swamp Head favorites (as evidenced by my Untappd checkins and social media posts). 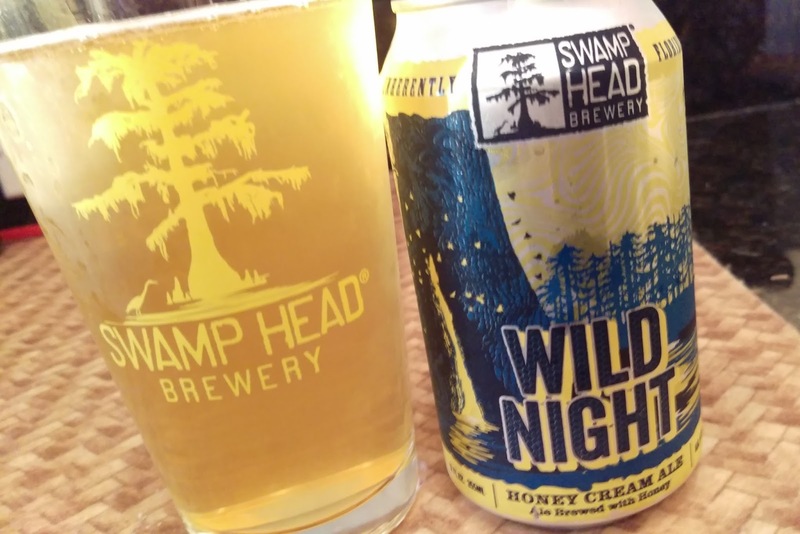 Take, for example, the Wild Night Honey Cream Ale, one of the core brews. Actually, I'll take one anytime, and in fact I had one with dinner before arriving here. I even brought some cans back with me, too. 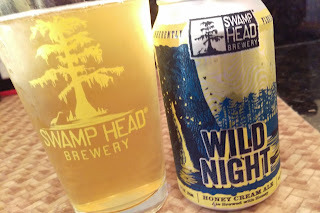 At 5% ABV, it's a lighter-style beer made with local Florida honey for a moderate sweetness. The hops and malt complement each other for a perfect anytime beer experience. You can't go wrong with the Midnight Oil, an oatmeal coffee stout (5% ABV), brewed with local coffee and English hops. This was one of the first stouts that I really fell in love with a few years ago, and it's still one of my favorites. 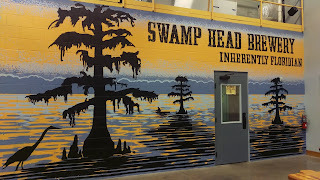 Swamp Head always brew up new beers, many of which are released in bombers. I could go on and on, but, pretty much, if it's Swamp Head, I pretty much like it. 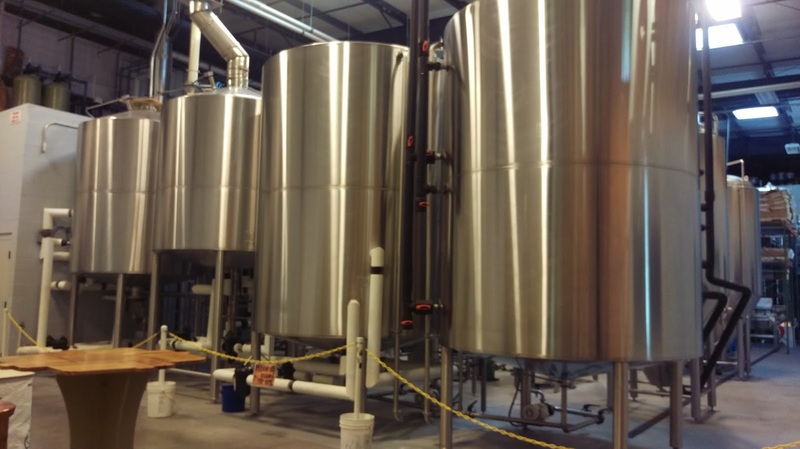 The brewery offers a range of different styles, too, so whatever you're into, they probably make it (IPA, DIPA, red ale, dark ale, Belgian, saison, barrel-aged, etc, etc). The Catherine's Passion Russian Imperial Stout (10% ABV) is a delicious, almost sinful, stout with cocoa and locally roasted coffee, with just enough alcohol presence to let you know that Catherine isn't fooling around here (or maybe she is, given the story behind the inspiration for this one) -- my kind of brew! Laid Back Peach and Vanilla: Yes, please! 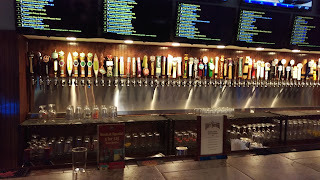 On Friday night, the tap list included several new lager releases with different treatments (lime, habanero), and I really liked the Laid Back Peach and Vanilla, where each flavor in the name stood out for a very tasty combination. 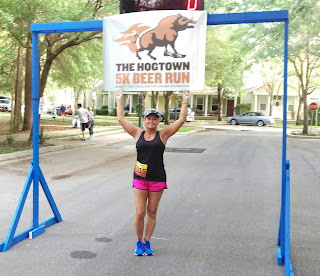 After running into Gabe Grass and some of the crew from GrassLands Brewing, it was time to call it a night, because it would be an early call for the Hogtown 5K in a few hours (it seemed). 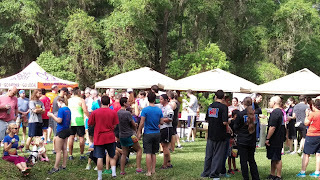 held at the picturesque Haile Plantation (with a 9am start, by the way). 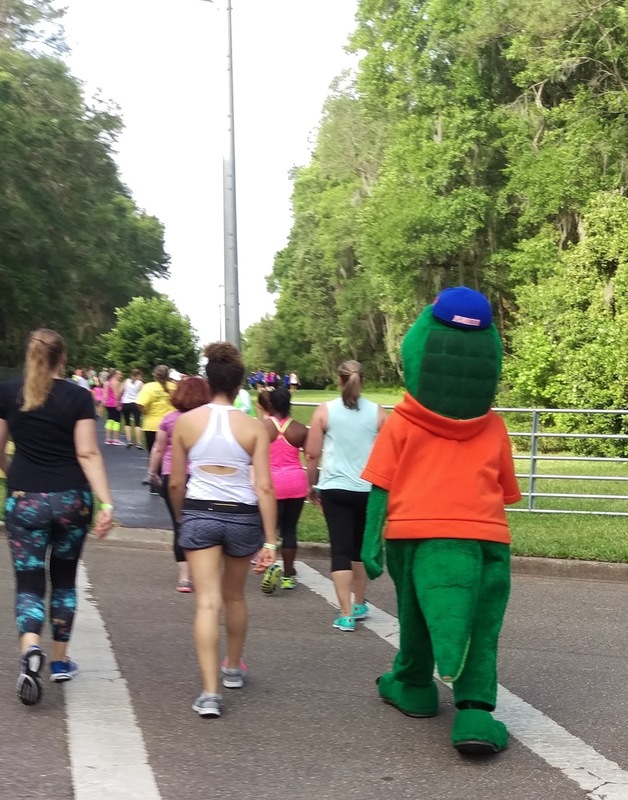 The 5K benefits The Climb for Cancer Foundation, which supports cancer patients and their families at the UF Health Center, through a number of different programs. 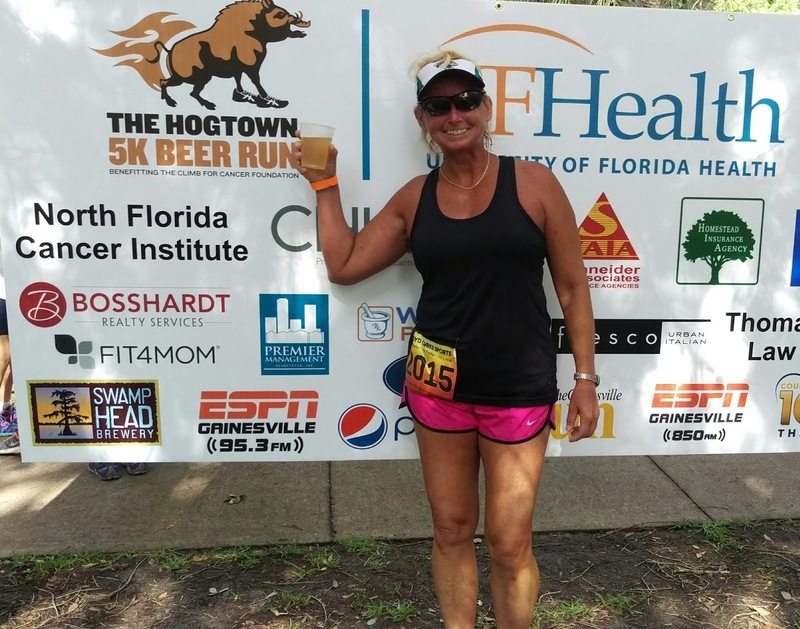 The charitable purpose of the 5K is motivation in its own right, and for the over-21 participants, there's the added incentive of complimentary Wild Night Cream Ales or Stumpknocker Pale Ales from Swamp Head and pizza by the slice at the finish line. 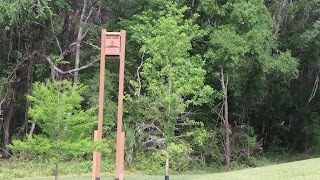 The route transverses peaceful, wooded trails throughout the community. After a somewhat suspicious early forecast, the weather was perfect. 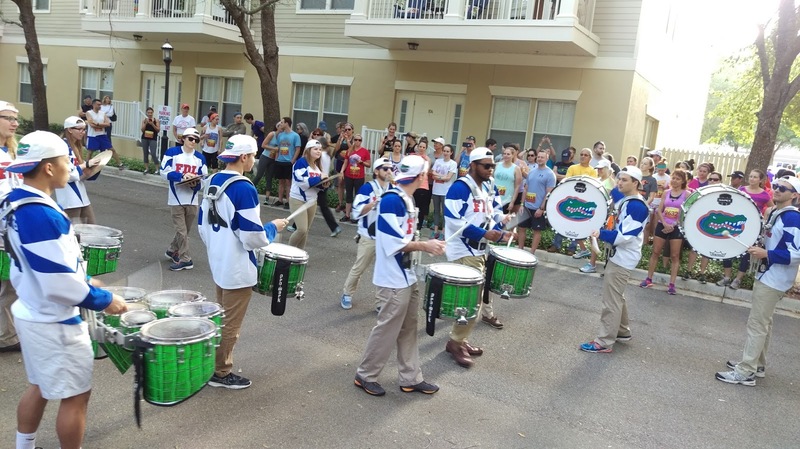 The Drum Corps from UF provided a little wake-up rhythm just before the start of the race. that's what I call GATOR TAIL! Beer from Swamp Head, and pizza afterwards. Some of the Swamp Head crew did the 5K, too! Following the 5K, a DJ provided music to go with that beer and pizza. 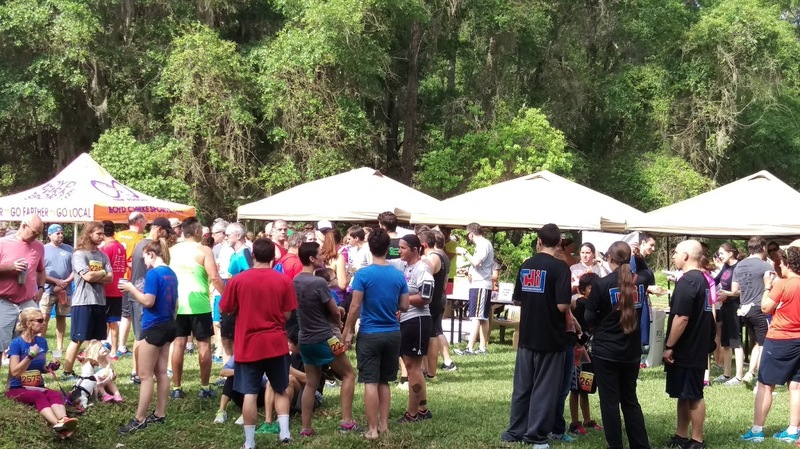 The announcer proudly informed the crowd that the number of onsite registrations was greater than anticipated, and that over $25,000 had been raised. WooHoo! Cheers to that! 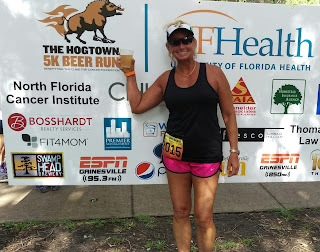 One of these days I might become a "serious" runner, but for now, I really enjoy taking part in events such as this for good causes and to have some fun (and, if you noticed: no wig this time around). not even at 10:30 am. Cheers! 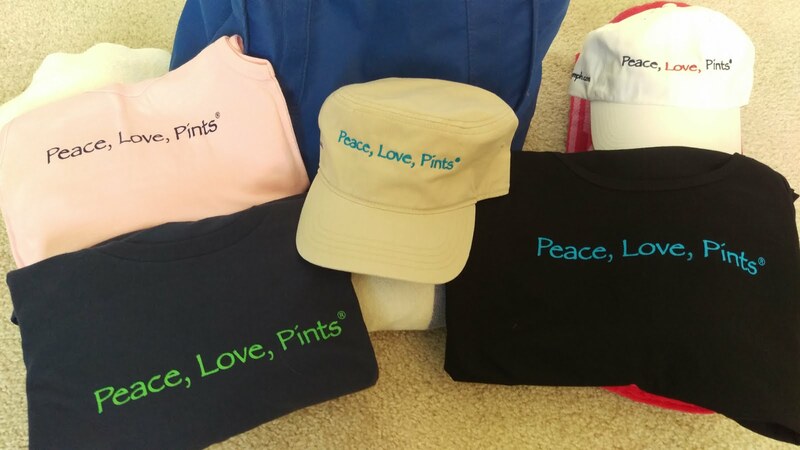 And, then it was time to get into some dry clothes and head out to the beer fest! Hogtown Craft Beer Fest -- Last year, organizers moved the Fest to the wooded area at Tioga Town Center off SR 26, and I thought it was very attendee-friendly and easy to maneuver around to the different areas. As is customary at Hogtown, vendors are grouped in "pods" generally according to the breweries' geographic location within Florida and other parts of the country, with designated sections for homebrew and European beers. 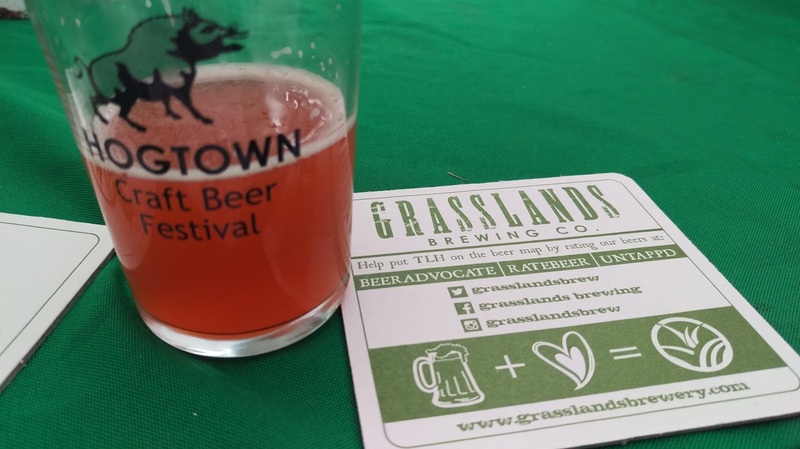 Enter the fest, and pick up your Fest Passport -- everything you need to know is in here: map of the grounds and pods, beers offered by each brewery, special timed tappings, food truck list, and restroom locations (all very important). Pick up your Fest glass and Passport and go forth! 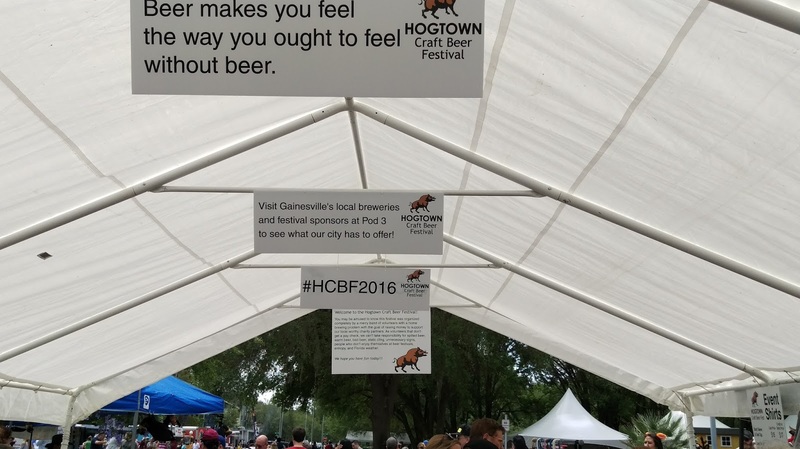 This year's Fest saw a few noticeable changes, which made the experience even better. The fest area was spread out a bit more, and there was plenty of space to move around comfortably. A large covered sitting area with tables and chairs was a welcome addition, making it easier to eat, drink, do your phone stuff, etc. The tented area even featured acoustic music and some fun tunes. And, those green towers that appeared in several places were equipped with power stations to charge up those batteries in the portable devices that we can't live without. Nice touch! 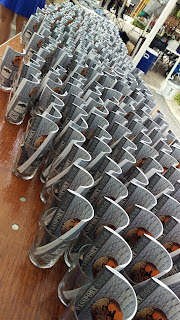 There were water containers and water bottles available for rinsing glasses and drinking, which was another nice addition. Lastly, a number of high top tables were added throughout the grounds for when you need to put that beer down to do other things with your hands. Well done! from Intuition Ale Works. I could drink that all day! 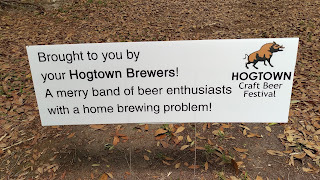 I didn't have a pre-determined plan for sampling beer, other than wanting to head over to the Jacksonville area first (Pod 6). 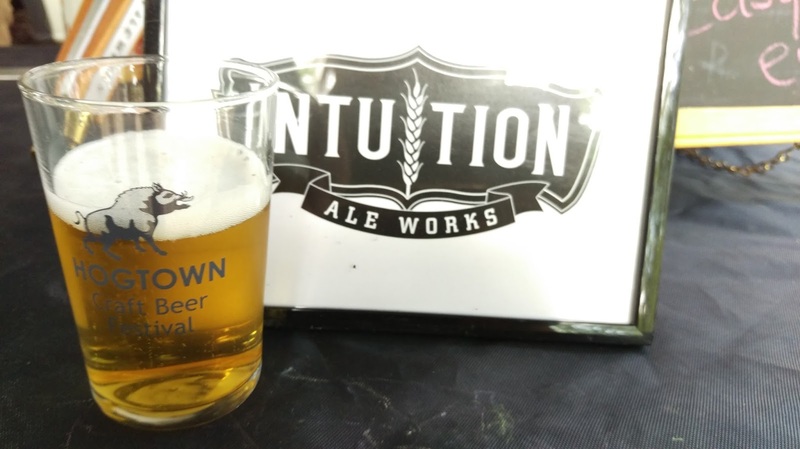 And, that's where I had the first fest-beer of the day, from Intuition Ale Works, after chatting with tap room manager and overall cool guy, Riley. Let the Fest begin! Time was already flying by, with only four more hours to go! 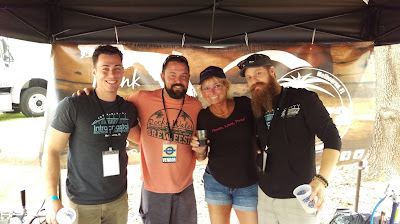 Of course, I saw some familiar faces at the Engine 15 Brewing tent, and even discussed the new Engine 15 cider with co-owner Sean. I made my way back there a few times. There may have been a Nut Sack Double Brown Ale in there somewhere along the way. The infamous Engine 15 "lookaway"
And, as always, I had a fun time with Regina and Whit at the Bold City Brewery tent, but the photo-op escaped us this time around (see last year). After that, not much rhyme or reason as to the order of beer sampling, but I mostly looked for new beers and familiar faces. 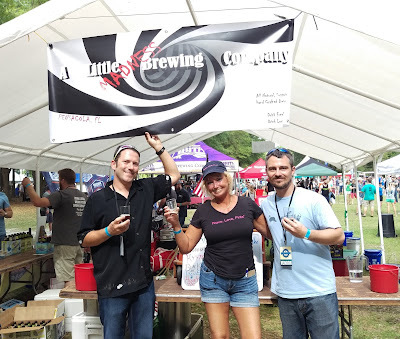 With over 110 breweries here and over 300 beers, ciders and wine, I won't go thru every beer, but of course, there were a few highlights and shout-outs (what's a beerfest without those, right?). As you'd expect, there was always a large crowd surrounding the tents in Pod 3: Locals, where First Magnitude, Swamp Head and Alligator Brewing were stationed, along with Infinite Ale Works and up-and coming Blackadder Brewing (stay tuned for more info on those guys as they get set to open). 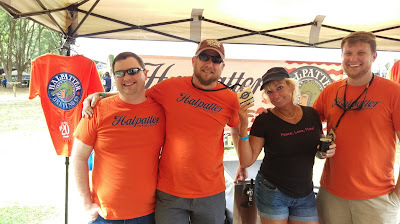 The 1:30pm timed tapping of Catherine's Mounds (a coconut treatment of the Catherine's Passion, mentioned above) at the Swamp Head tent had a line that didn't seem to end! 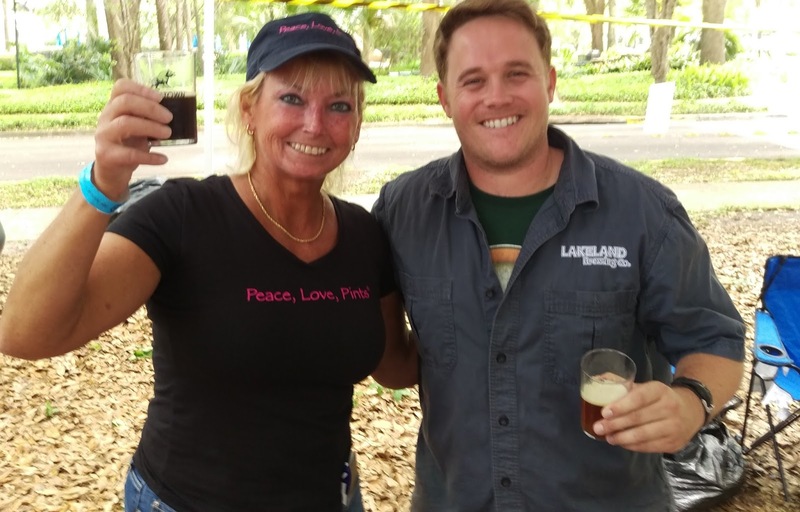 You gotta love it when one of the well-known South Florida breweries has a state-wide launch of a new year-round beer a few days after the beerfest AND they brought it here for us to sample ahead of time. 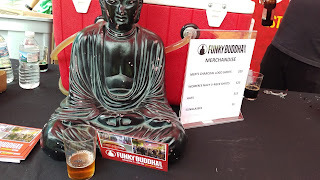 Yeah, I'm talking about Funky Buddha Brewery's Hop Stimulator DIPA, which officially launched April 19. If you haven't had it yet, you'll want to. tropical fruit; noticeable malt; smooth. May have had a couple of these. And, how cool was it to see GrassLands Brewing here from Tally? 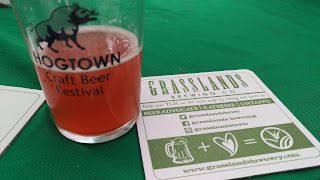 I've known Gabe and Saralyn for a few years, and they opened the doors to their place last year (check out my December visit to GrassLands here). A really cool bunch of beer people over there making some great beer! With Gabe Grass... always a fun visit! strawberries and lemon. Sip on this lemonade! More wandering around, more beer, more beer people I already know, more I don't know, more photos. 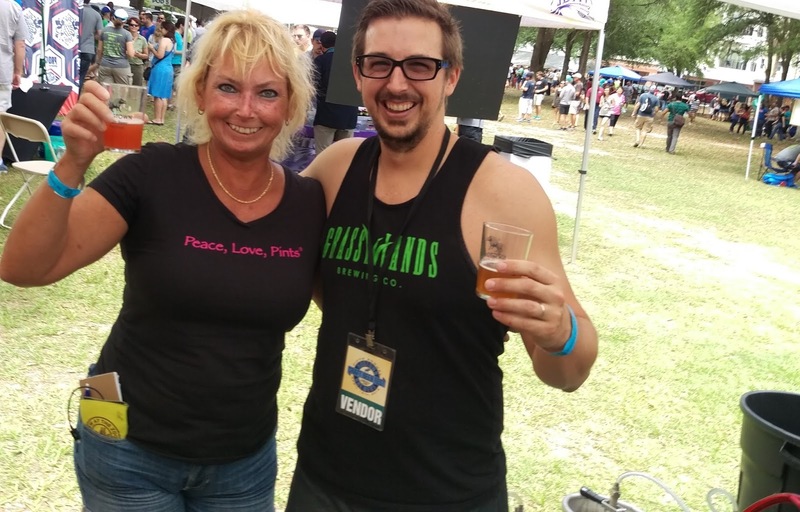 I do a lot of talking at beerfests, so it seems I'm always thirsty! And, yes, I carry a water bottle around, too, because this isn't my first time. I met Tina Ryman from Marker 48 Brewing in Brooksville last month at the FBG Fest in Tampa, and she and Maurice were set up here, too. This brewery is another one of the newer ones, and they're already getting to be regulars at these types of things! And, how exciting that Marker 48 will be representing Florida at the prestigious SAVOR Craft Beer & Food Experience in Washington, D.C. in June! 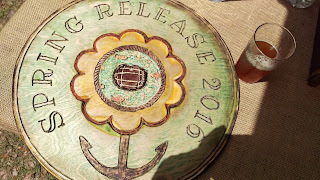 They'll be pairing their saison and dubbel with artistic culinary creations. I really need to make a trip to Marker 48! 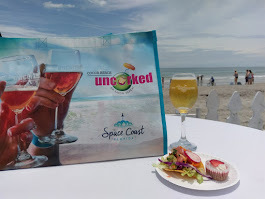 I spent some time hanging around at Pod 8: Space Coast, where I caught up with the guys from Intracoastal Brewing Company. During a recent weekend in Melbourne, I stopped by Intra again (yep, been there a few times), and it's a fun place to have some great beer! 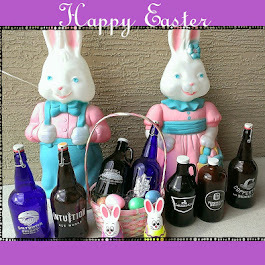 I'm pretty partial to their stouts and porters. 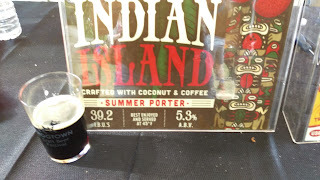 The Mexican Delight Stout (7.8 ABV)(new to me) has a predominant chocolate and coffee aroma, with a hint of cinnamon and peppers. All are in the taste profile, with those peppers making their presence known on the backend. Hot damn! 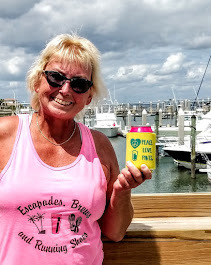 Fun time with Intracoastal Brewing! 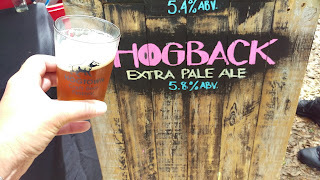 Loved the easy-drinking Intra Hogback Pale Ale, too! 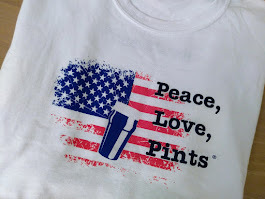 last month, and another brewery I need to visit. This, the One-eyed Revenge Stout (6.7%): cocoa, coffee. Yes, that speaks to me! Nice guys there, and I really like the beer! 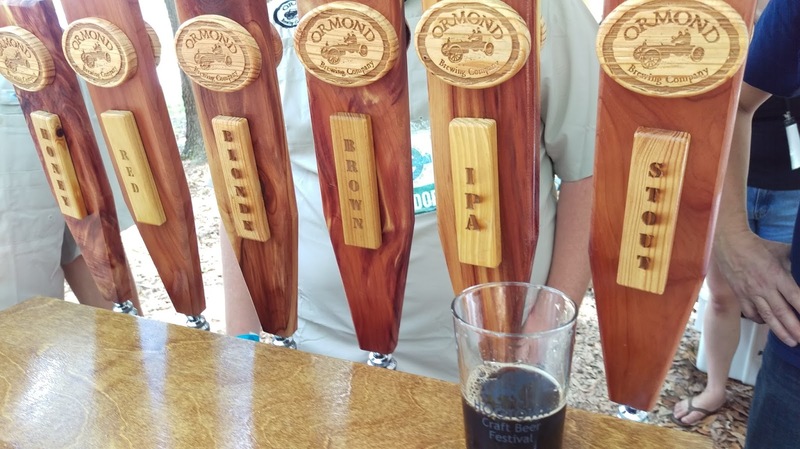 Ormond Brewing Company brought some beer! 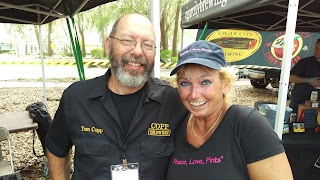 With Tom Copp from Copp Winery & Brewery in Crystal River. 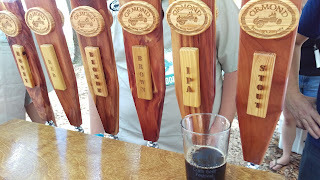 I really liked that Maple Stout (7%) with maple and chocolate! Here's another place for "the list" of places to go! 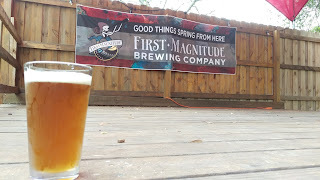 There was a pretty good buzz around here (no, I don't mean just from consuming the beer) about a couple of breweries-in-planning from the Panhandle, too, so I thought I'd check them out. I had a fun time chatting with A Little Madness Brewing Company, coming soon to Pensacola with a seven-barrel system. These guys brought six beers of various styles to the fest, and I think they're on to something. Take a look at the website, and you'll see that the beers are categorized according to differing levels of "madness." The Hysteria Red Ale was appropriately described as a "hoppy red." If a different type of nuttiness is your thing, try the Abeeration Brown Ale. The Honey Delirium Blonde Ale is made with real honey, and this sweetheart of a beer is so good, it just might make you a little crazy. Ok, guys, I see you out there now..... I'm thinkin' roadtrip! 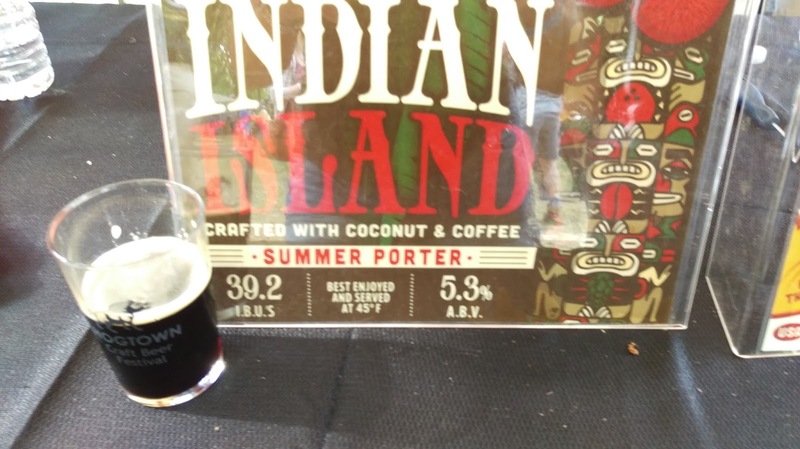 and the coconut didn't overpower the beer. Check out the logo. No such thing as having too much fun, either. So, put this one on the list, too, and look ahead for more to come from Halpatter Brewing. Eventually, the clock ticked to 5pm, tables and tents were coming down, and kegs were rolling out. The fifth Hogtown Craft Beer Fest was now history. 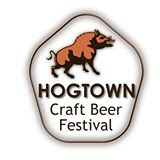 Hey, Hogtown, great work with the Fest, and the countdown to the Sixth Hogtown Craft Beer Fest has already started! 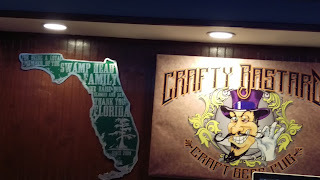 Here, a quick shout-out to Crafty Bastards Pub, a very laid-back, neighborhood-type pub with a killer 60-beer tap list and a great assortment of comfort food. My panko-coated chicken was awesome. 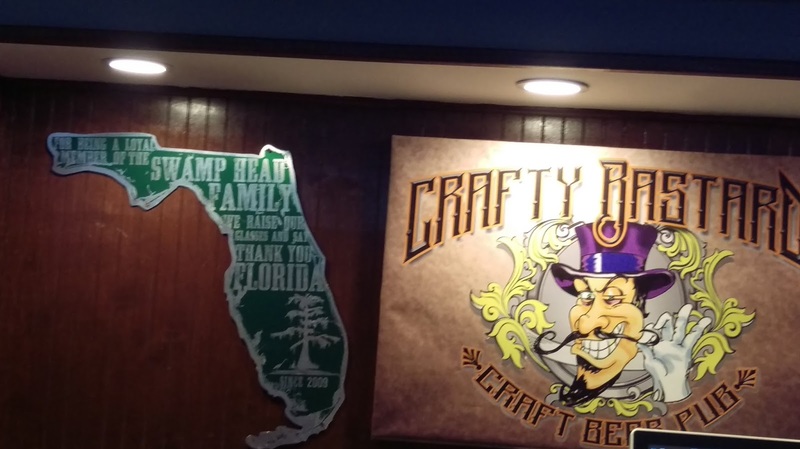 This was my first time here, and I'll be back next time I'm in Gainesville (maybe after I haven't been drinking beer all day!). 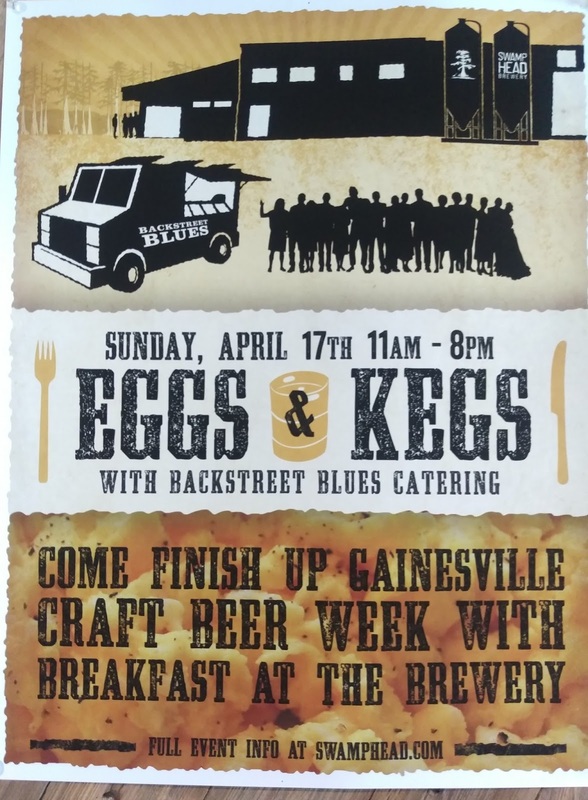 There was still one more event on the agenda for Gainesville Craft Beer Week: Eggs N Kegs at Swamp Head Brewery. Sure, why not? 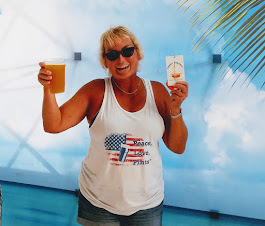 Backstreet Blues Catering offered several breakfast platters, and Swamp Head served up three special combinations of beer and juice. A great idea to wrap up the week. Ran into Tina and Maurice from Marker 48 Brewing here, too! 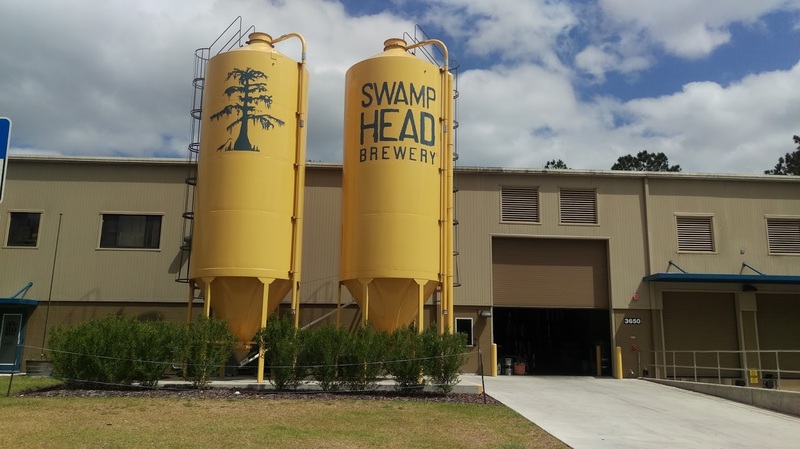 And, another chance to see the Swamp Head brewery and surrounding grounds -- in the daylight -- and take a few more photos. On the outdoor patio overlooking the pond. 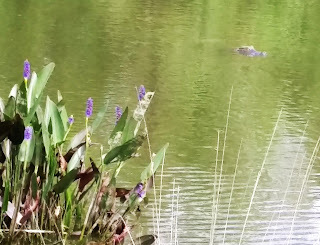 Yes, that's a real gator moving around the pond. What a weekend! Thanks, Gainesville! 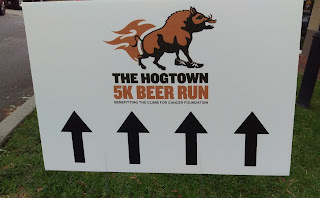 That's a wrap on another fun and beer-filled weekend in Hogtown! 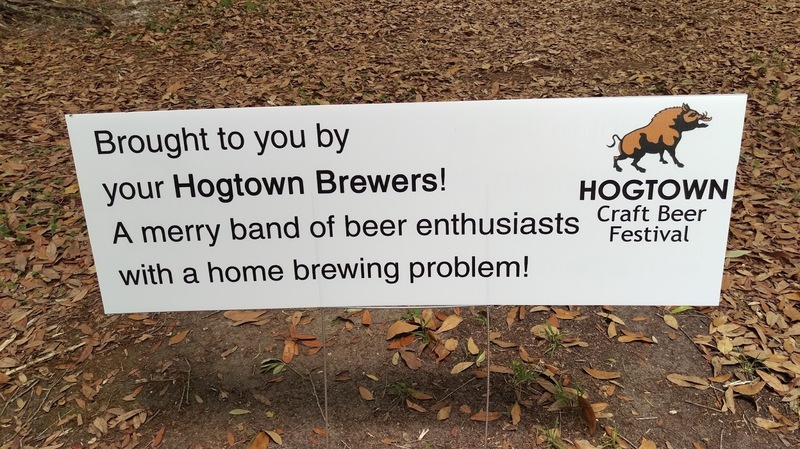 Be sure to attend a beer event around Florida. Not only will you drink great beer, you'll also meet cool people and make new friends. 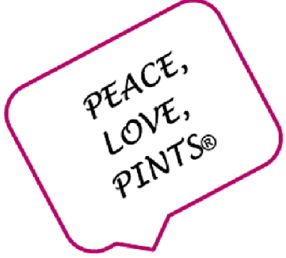 If you're looking for an event, take a look at my two events pages. Know of an event that I don't have listed? Let me know!!!! Thanks for reading! I appreciate all the feedback!